Both sides expressed their commitment to the Minsk agreements during the meeting. 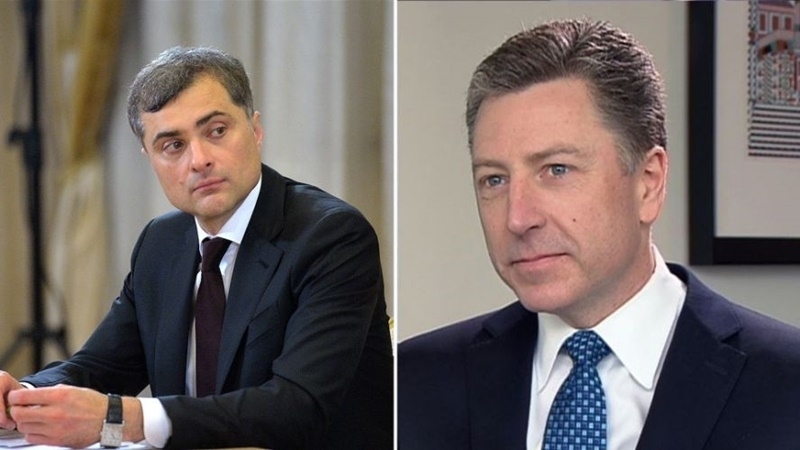 Assistant to the President of Russia Vladislav Surkov and US Special Representative for Ukraine Kurt Volker agreed to continue joint work on Ukrainian issues, UNIAN reports. “We agreed that the current situation in the southeast of Ukraine can not be satisfactorily neither for the parties to the conflict, nor for the external forces contributing to the settlement. The commitment to the Minsk agreements was not questioned: both sides proposed fresh ideas and innovative approaches to their implementation," Surkov said. Reference: August 21, in Minsk, the first meeting took place between the Kremlin representative and the supervisors of the Ukrainian direction, appointed by the new US presidential administration.